We’re taking over Edinburgh’s mighty concert venue, The Queen’s Hall, for two nights of the biggest laughs at this year’s Fringe. 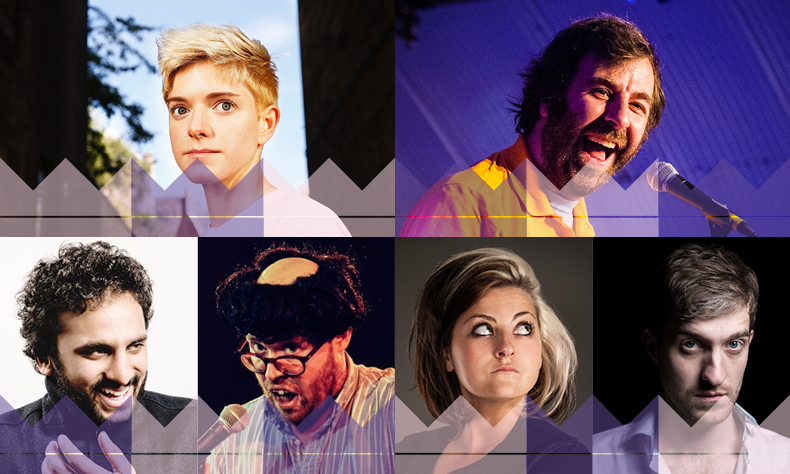 Featuring the pioneering, cutting-edge comedy from Edinburgh Comedy award-nominated stars of the Show And Tell stable – plus some of the Fringe’s biggest stars and household names. The Radio 4 star and BBC2’s Rev star, MILES JUPP hosts and introduces Edinburgh Comedy Award nominee and BBC2’s Mash Report star NISH KUMAR, the world-renowned, Live at the Apollo star NINA CONTI, the only ever two-time Edinburgh Comedy Award winner JOHN KEARNS, perennial Fringe legend SIMON MUNNERY, and the superbly talented rising star KIRI PRITCHARD-McLEAN. The Edinburgh Comedy Award winner, Live at the Apollo star, the Lidl Enya, the broken Bublé… DAVID O’DOHERTY headlines. Plus Edinburgh Comedy Award nominee, Chortle Award winner and Radio 4 star JOSEPH MORPURGO makes his only Fringe appearance. Plus! two-time Edinburgh Comedy Award nominee KIERAN HODGSON, Mock The Week’s ED GAMBLE, Live at the Apollo’s IVO GRAHAM – and more, to be announced! Or book with The Queen’s Hall box office if you have a discount code.